Use + A + to~. ~하려면 A를 이용해봐(A를 이용해서 ~를 해 봐). 앱을 이용해서 네 근처의 가장 싼 주유소를 찾아봐. 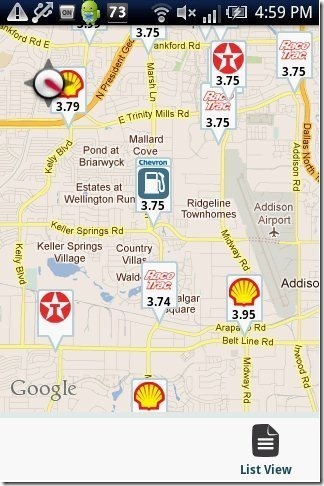 Use your app to find the cheapest gas near you. 그 일을 얻으려면 인맥을 이용해 봐. Use your connections to get that job. 머리를 써서 문제를 풀어 봐. Use your head to solve the problem. 약간의 닭고기를 주문할 거면 내 전화기를 사용해. Use my phone to order some chicken. 감자찌개를 만들 거면 할머니의 요리법을 써 봐. Use Grandma’s recipe to make tater stew. 무거운 물건을 나를 때에는 엘리베이터를 이용해. Use the elevator to transport heavy stuff. 새로운 단어를 배우려면 사전을 사용해 봐. Use a dictionary to learn new words. 개를 혼낼 때에는 근엄한 목소리로 해야 돼. Use a stern voice to scold a dog. A: Use your app to find the cheapest gas near you. 앱을 시용해서 네 근처의 가장 싼 주유소를 찾아봐. B: You do it. I’m driving. 네가 해. 나 운전하고 있잖아. A: Use Grandma’s recipe to make tater stew. 김치찌개를 만들 거면 할머니의 요리법을 써 봐. B: It still won’t taste like hers. 그래도 할머니의 찌게 맛은 안 날 거야. A: Use a stern voice to scold a dog. B: That hurts me more than the dog. 개보다 내가 더 상처 받겠는데.